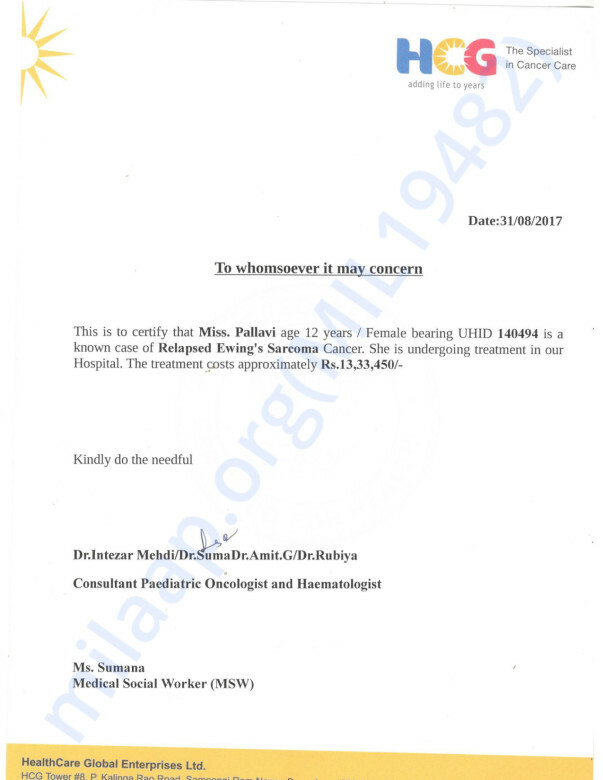 15 year old Pallavi has Ewings Sarcoma. A very rare cancer that affects the bone in children. She needs to undergo Chemotherapy. Pallavi is 12 years old. She had a normal childhood until last year. A boil on her clavicle turned her life upside down. When she should really be in school, Pallavi spends 15 days in class, and 15 days on the hospital bed. Now, she must say goodbye to all her friends as she steps into the biggest struggle of her life against the most ruthless form of cancer. Pallavi got another tumor on her forehead. Alarmed, her parents went back to the hospital. The doctors said that the biopsy showed it was Ewing’s Sarcoma, and it had metastasized. The treatment was very expensive and Veeresh pleaded with the doctor for help. 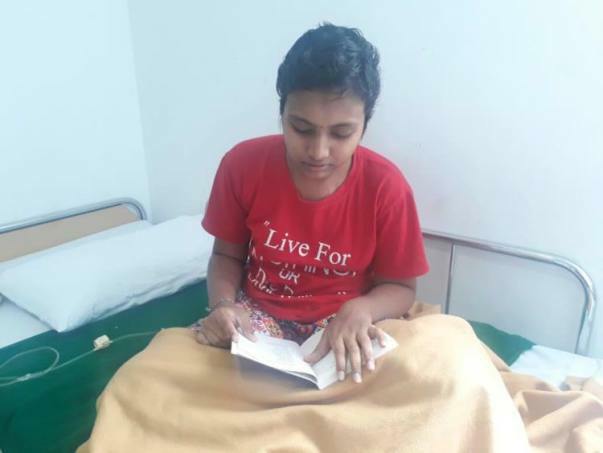 As a 12-year-old fighting cancer that is attacking her bones, Pallavi is frightened out of her mind. She cries constantly, from pain. Unable to explain what chemo has been doing to her, she throws temper tantrums. Her parents understand and just console her by saying that everything is going to be fine soon. Veeresh has spent over Rs. 10 lakhs trying to save Pallavi. All his life savings are now gone leaving him with nothing left for the biggest fight yet. He needs Rs. 13,34,450 to continue chemotherapy. 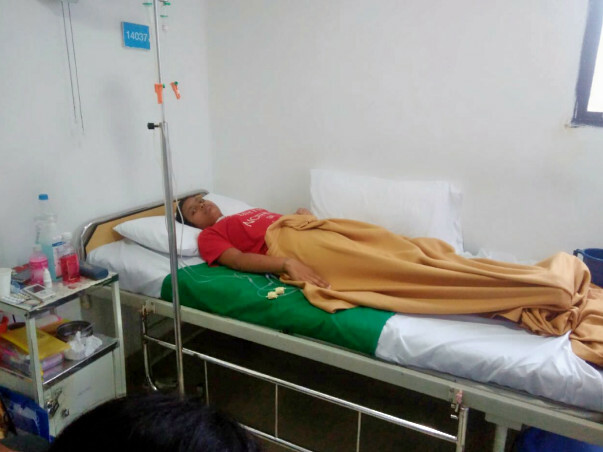 Your contribution will give this 12-year-old girl the chance to live the rest of her life free of cancer. 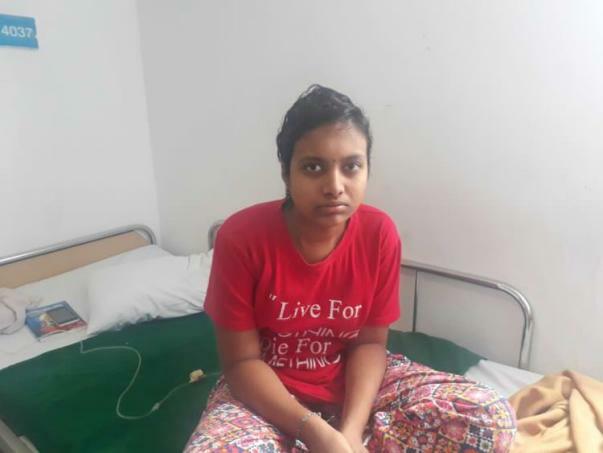 After completing the investigation, Pallavi has undergone her first cycle of chemotherapy along with supportive care as she was not feeling well after the chemotherapy. Her health became stable and she got discharged on 7th September 2017. She will be undergoing next cycle of chemotherapy this week. Thank you for all the support you have shown Pallavi. Please do pray for her health and share this campaign further with your friends and family. 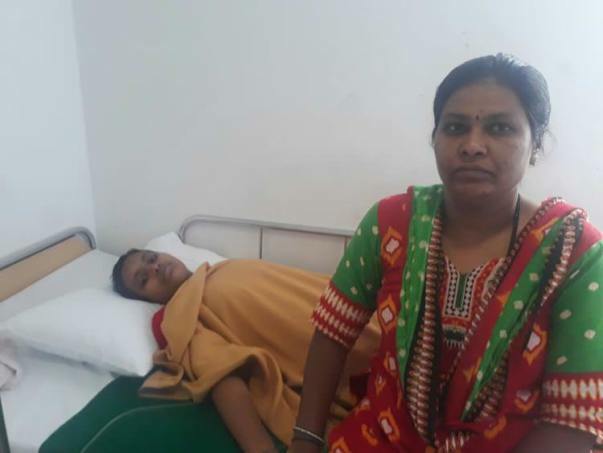 Here is an update on Pallavi. Pallavi has been admitted to the hospital today for her chemotherapy sessions. The chemotherapy will continue for 7 days and the doctors will advise the future course of action post the chemo sessions.